From the Edit menu, select Connection Details. This will open the Connection Details menu. Click the Virtual Networks tab. 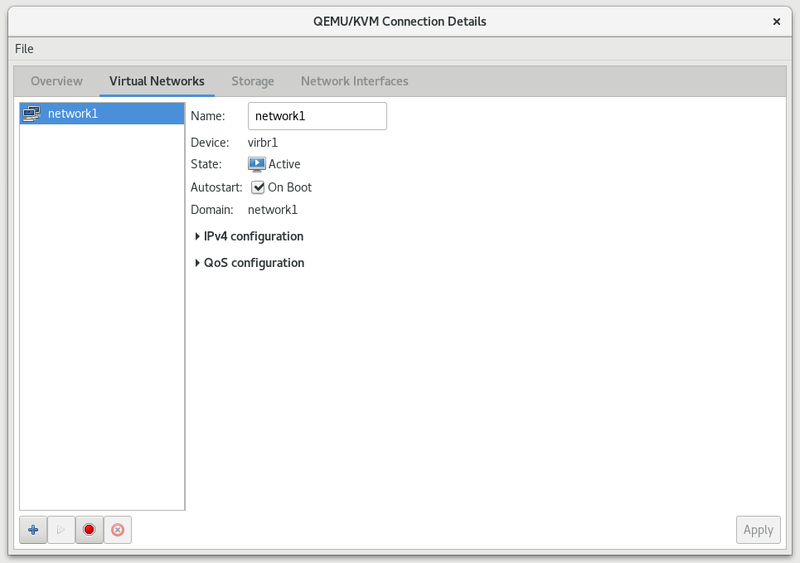 All available virtual networks are listed on the left of the menu. You can edit the configuration of a virtual network by selecting it from this box and editing as you see fit.